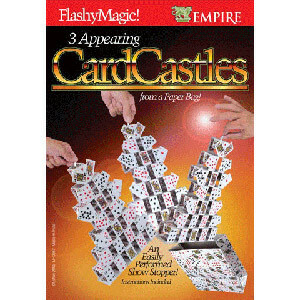 View cart “Card Box Magnetic” has been added to your cart. You show a wallet containing four Kings. Every man is nothing without the woman he loves, so you take out the four Queens from a deck of cards and give them to a spectator to shuffle. 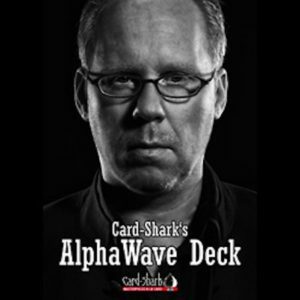 Let him randomly select one of the Queens so that nobody knows which card he has chosen. 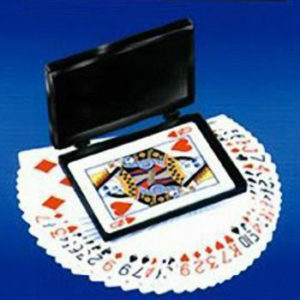 You take out the cards from the wallet, face down, and place them next to the selected card. Let the spectator turn over the Queen to show his selection. When you spread the pack of Kings, the King matching the selected Queen turned face-up between the other face-down cards. Say that there can only be one perfect King for a Queen, as you turn over the King to show that he has the same back colour like the Queen. Finallly, turn over the other three cards to show that all other cards are blank! A new and fresh twist for a classic effect. Depending on your setup, you will receive either a set with Queens or Kings, showing red backs. 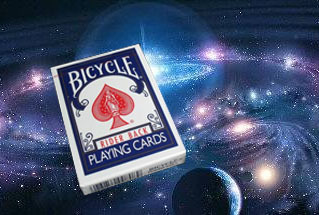 The blank cards will have blue backs for an additional climax. 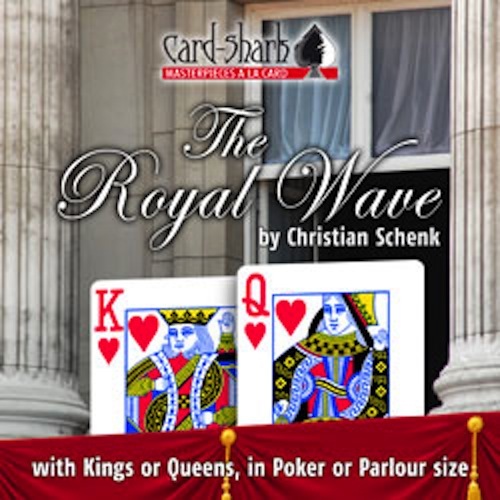 Finally Royal Wave is also available in Poker size Phoenix cards!